Quellen: Originalkarte von Philippe Rekacewicz (2000), aktualisiert 2009 nach: Mineral facilities of Africa and the Middle East, United States Geological Survey, 2006. USGS Minerals information (http://minerals.usgs.gov/minerals). 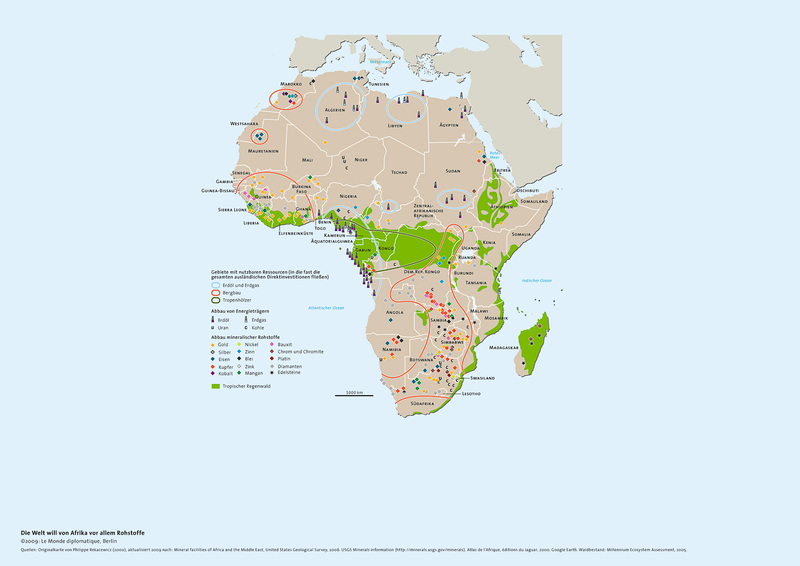 Atlas de l’Afrique, éditions du Jaguar, 2000. Google Earth. Waldbestand: Millennium Ecosystem Assessment, 2005.